In my final opening soon round-up of 2009, I cross the city to get a glimpse of four places that will have some construction to do before welcoming their first customer. In Leslieville, next to Red Rocket, a Napoletana pizza joint is expected to open in the long vacant space previously occupied by furniture store Karl Ciesluk and the Mango event space. Details of the new restaurant are scant but it may or may not be called East Ender and no word whether the goods here will rival Libretto, or even Lil' Baci down the street. 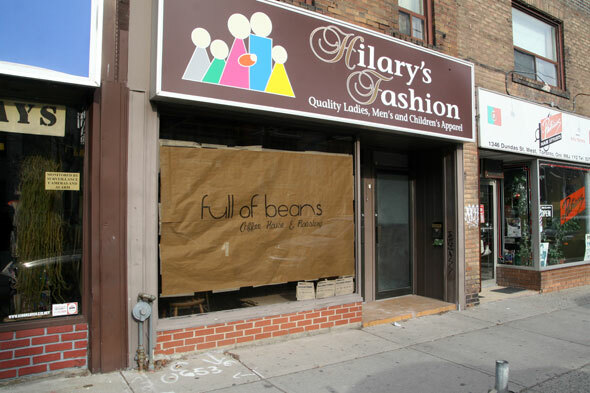 On Dundas West, the opening of coffee shops is showing no signs of abating as here comes Full of Beans. Found just west of Ossington it's actually a great location with I Deal being the nearest competition at the corner of Oss and Foxley. Peaking through the window, I saw a fairly raw space so don't expect any Americanos to be served here before the end of the decade. 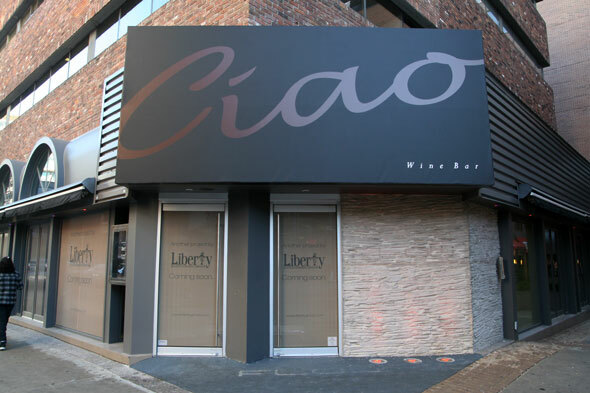 In Yorkville, the shuttered Flow is being reinvented by the Liberty Group into something called Ciao Wine Bar. Their new venture is scheduled to open January 15th. 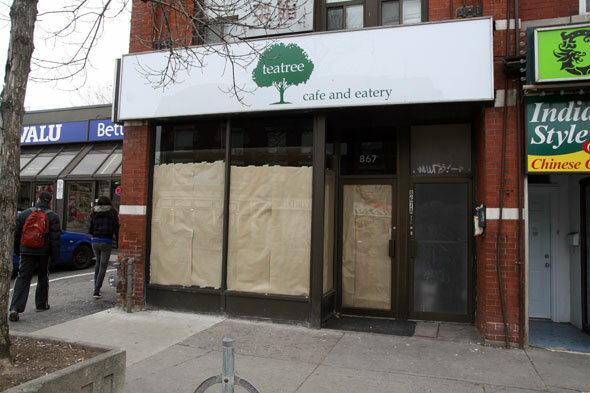 And finally, on the Danforth, a cafe and eatery called Teatree has announced its impending arrival. Found just a few doors west from Square Boys the cafe - if done right - will bring a much needed indie option to this part of the street.